Synopsis: With increasing intercultural encounters, the need for intercultural competence has been stressed in various sectors such as education, business and local communities. While intercultural encounters can enrich the lives of individuals and societies as a whole, intercultural miscommunication can result in misunderstanding and even mistrust between cultures. In order to equip people with skills necessary to communicate effectively with different cultures, various forms of intercultural training have been offered worldwide. These programmes focus on various aspects of communication such as language, nonverbal behaviour and cultural awareness. Due to a lack of training programmes which focus on perceptual processes of people, research was undertaken to unravel this aspect of communication and to examine its role in intercultural communication. 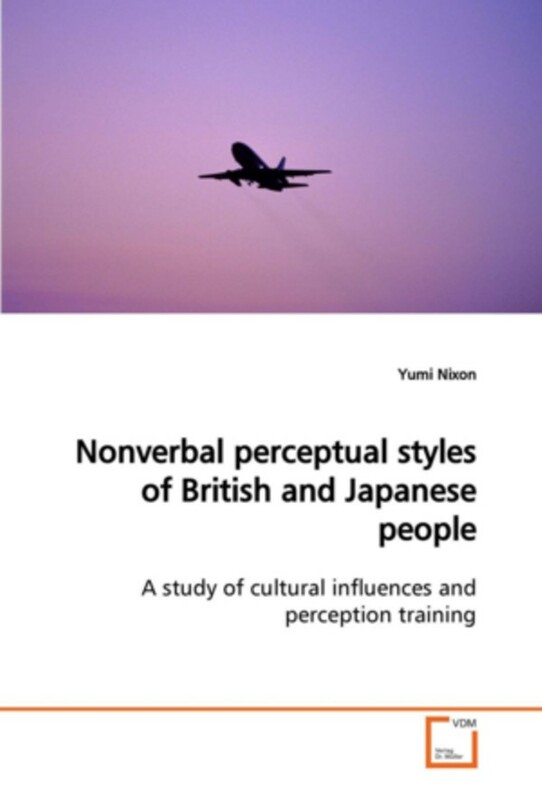 In this research, cultural influences on perceptual styles of British and Japanese people were analysed and training methods were explored to improve intercultural perceptual accuracy. This book should be informative to those who are engaged in intercultural studies. Book details: Paperback, 260 pages, 15.2 x 1.5 x 22.9 cm, ISBN - 978-3-639-15613-3. Based on Ph.D Thesis, University of York (2005). Purchasing options: Please click on the image below to be re-directed to the main UK purchasing option for this book.